Breakfast is the most important meal of the day, so make sure to start the day off right with a real hearty dish. 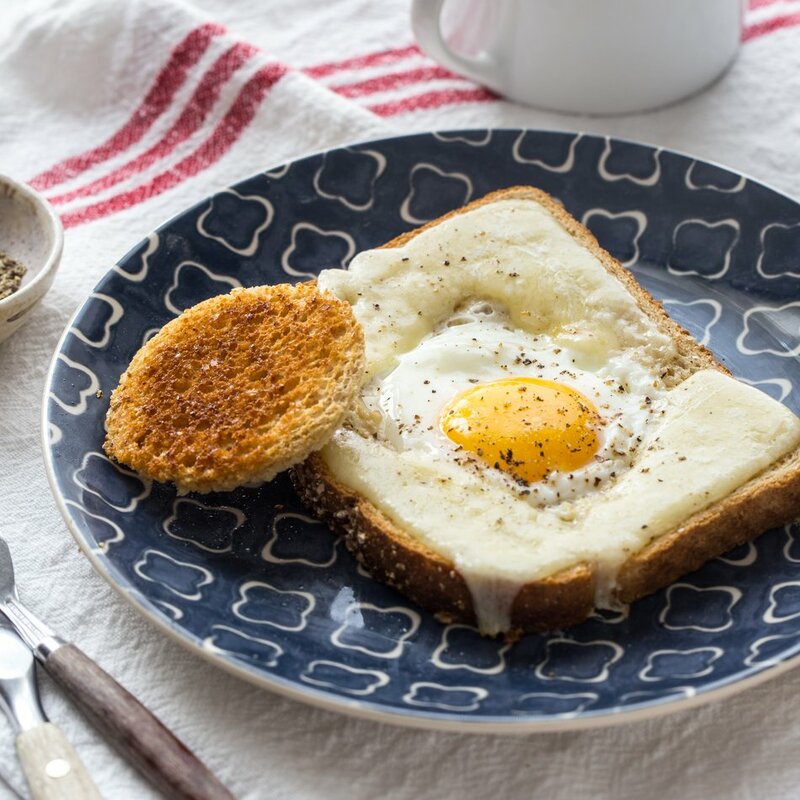 This eggs in a basket recipe (also known as one-eyed jacks, eggs in a nest, eggs in a blanket, eggs in a hole) is a filling and wholesome dish that's truly packed with flavor. 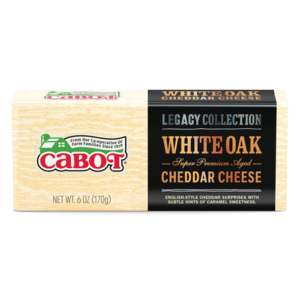 Our recipe makes for two servings and it also features cheese—the addition of your favorite Cabot cheese makes this recipe fairly unique, flavorful and delicious. After trying this recipe, make sure to rate and review it. Eggs in a basket is a simple dish that doesn't require a lot of time or preparation to make. 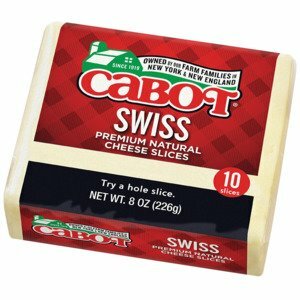 Our recipe calls for two slices of multi-grain bread, 1 tablespoon of Cabot unsalted butter, two large eggs, and four slices of your favorite Cabot cheeses (we personally suggest Cabot Alpine Cheddar, Cabot White Oak Cheddar, Cabot Farmhouse Reserve Cheddar or Cabot Swiss Slices). We also suggest adding a dash of salt and pepper. The secret to crafting a delicious eggs in a basket is making sure that the bread you use is lightly toasted (also make sure to cut out a circle in the toast too), and that you crack the egg directly over the hole in the bread. Total cooking time is only about two to three minutes, so it won't take long to make—serve the cutouts for dipping too. Cabot is a cooperative of 1,000 family farms, and we've been making award-winning dairy products—such as our popular Cabot Alpine Cheddar—for years. Keeping that in mind, we're positive that any recipe that calls for our dairy products will definitely be a hit in your home. Our dairy products are made with only the freshest ingredients, and all of them are undeniably healthy. Furthermore, because we value our customers tremendously, we're eager to hear your thoughts about this eggs in a basket recipe—we want to know if there's anyway that we can improve it, so your feedback is highly valued. In addition, feel free to share this recipe with your friends and family on Facebook, Twitter and Pinterest. Now let's get cooking! TOAST bread, lightly. Use a cookie or biscuit cutter to cut a circle out of the center of each piece of toast. HEAT a large skillet over medium-high heat. Melt butter in pan. Place pieces of toast and round cut-outs into the skillet. CRACK an egg into each bread hole. PLACE cheese triangles around the edges of the toast. COVER the pan for 2 to 3 minutes to cook the egg to your liking and melt the cheese. Use a spatula to remove the cooked Eggs in a Basket to plates. Season with salt and pepper. SERVE hot with the cutouts for dipping.